The suspected killer of two teenagers in Olga has been taken into police custody. 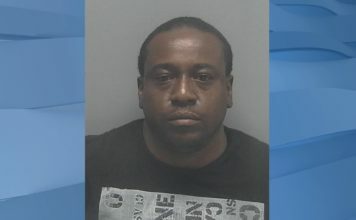 Lee County Sheriff’s Office arrested Elwood Timothy Robinson, 46, for the shooting death of William Hughes, 19, and Jeremy Stewart, 16, Saturday. According to police, Robinson impersonated a police officer before shooting and killing the two boys. Robinson also shot a female in the hand. She received non-life-threatening injuries and is expected to recover, the police report said. 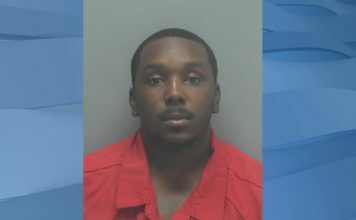 Detectives arrested Robinson for second-degree murder, aggravated battery with a deadly weapon, aggravated assault with a deadly weapon and impersonating an officer. Hughes was originally identified by his ex-girlfriend at the scene. They have a 6-month-old daughter together. Hughes’ ex-girlfriend told WINK News she is heartbroken to have to tell their daughter of her father’s death. Both Hughes’ and Stewart’s families have been notified by law enforcement. Their bodies were originally found near Park Way and W. Court Place in the wooded area of an Olga neighborhood. There have been at least 34 homicides in Lee County this year.